Traveler Reviews for Private Tour in Osaka, Japan by Tour Guide Hiroko K.
UNESCO and Longest Suspension Bridge in a day ! 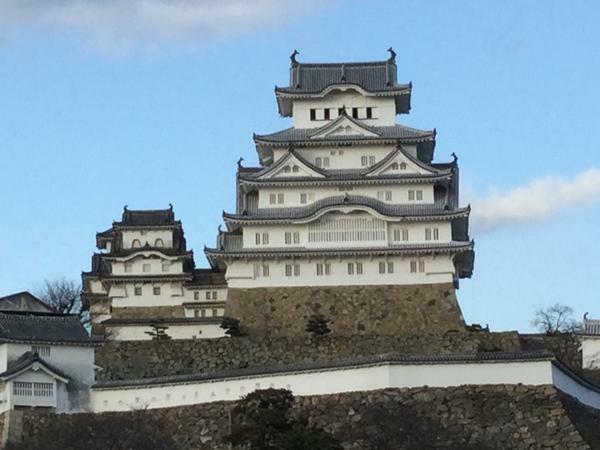 Our trip to Himeji castle was interrupted by the huge earthquake that occurred in Osaka. Hiroko quickly took us to the station to cancel our seats on the Shinkansen and made arrangements to visit the next day when all the trains were up and running again. So our trip was only delayed a day. We appreciated her quick thinking and her assistance. Hiroko took us to Himeji castle and the gardens next to the castle. She provided excellent commentary on both the gardens and the castle. Hiroko is charming and we spent a fun day exploring Himeji Castle and the gardens. When we got back to Kobe she even helped me find a local beauty salon where I was able to get my hair washed and blown out for a very reasonable price. Local knowledge is a wonderful thing. Hiroke was a delightful person who was very flexible and kind. She really went out of her way to meet our needs. It was very hot so we decided to skip the gardens go to a history museum which was a delight. She was able to summon two taxis on short notice and even provided me with a restaurant option upon our return to Kyoto. Our group was very happy with Hiroko's whole day tour. Taking local transportation & being in a small group is so much more enjoyable than being in a huge tour group in bus. We got to see more, learn more & not waste so much time waiting for others.